A lot of people with dark complexion have a secretive desire for having a lighter or fairer skin complexion. There are numerous ways in order to lighten one’s complexion; however, the most economical and safest way to get fair skin is to use natural remedies. Luckily here we have some best natural beauty tips to lighten your skin tone. Let's have a look on them and get the maximum benefits from natural ingredients. Turmeric face mask has been shown excellent results in lighten your skin tone. To prepare this mask you need 1 teaspoon of turmeric powder, 1/2 teaspoon gram flour(besan), 1 teaspoon sandalwood powder and 2 tablespoons raw milk. Now mix turmeric, gram flour and sandalwood powder and add some milk to make a thick paste. Apply this paste to your clean and damp face. Don't let it dry out completely, whenever u feel it stretching, use a little milk or water and massage again and leave on. Let it stay at least for 20 minutes and then wash off with fresh water. For best results repeat this twice or thrice a week. Take some lemon lemon rind (the outer skin grated), dry them out in the sun and then grind them to a powdered form. Keep in dry air tight container. Now take 1 tablespoon of lemon rind and mix with some raw milk to make a thick paste. Apply this paste on your damp face and leave for about 20 minutes and then wash odd with lukewarm water. Finally splash with cold water or use a cool skin toner. Orange rind is also considered very effective to lighten your skin tone. Orange rind and milk pack has been shown excellent results in lightening sun tanned dark skin. To prepare this pack take some orange rind and dry them out in sun and then grind them to make a fine powder. Take 1 tablespoon of orange rind and save the rest in air tight container. Now mix one tablespoon of orange rind powder with some raw milk and apply this pack to your damp face. Let it stay for 20 minutes and then wash off. This mask is very beneficial in lightening skin tone as well as removing skin sun tan and blemishes. 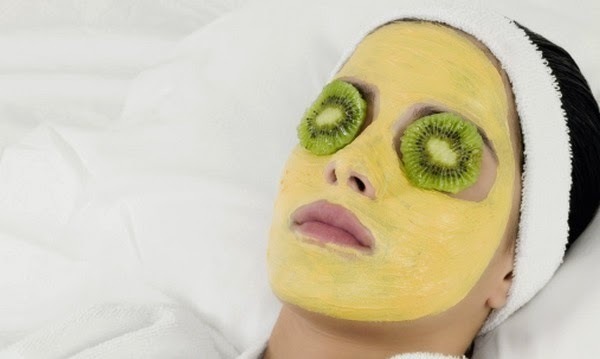 This mask is also very beneficial in removing blackheads when massaged on the affected areas in circular motion. To make this mask take some orange peels and dry them in sun until all the moisture is gone and the peels turn crisp. Now grind dried orange peels to make powder and mix 1 tablespoon of this powder with 1 tablespoon of fresh and unflavored yogurt to make a paste. Apply this paste to your clean and damp skin for about 20 minutes and then wash off. To make a skin lightening face pack take 1 teaspoon each of milk, lemon juice and honey. Mix them well and apply this pack to your clean and damp face. leave at least for 15-20 minutes and then wash off. Take half teaspoon of almond oil, 1 teaspoon of milk powder, 1 teaspoon of honey and 1 teaspoon of lemon juice and mix them well. Apply the mixture on your clean face for 15 minutes and then wash it off with clean water. Lemon and Cucumber pack is also very beneficial in lightening your skin skin. Take 1 tablespoon of cucumber juice and mix with equal amount of lemon juice. Apply this mixture to your clean face and leave at least for 15 minutes and then wash off. (Lemon juice create sensitivity to sun light so don't forget to apply a good sunscreen before going out in sun). Potato is a natural skin bleaching agent. To lighten your dark skin, you can rub thin potato slices over dark skin. Rub at least for 5 minutes and then wash off after 15 minutes. Potato massage is also very beneficial in lightening sun tanned dark skin. This mask is very effective for skin lightening as well as for removing dead skin cells. Take 1 teaspoon each of tomato juice, oatmeal and yogurt. Mix them well and apply this to your clean skin for about 20 minutes and then rinse off with fresh water. While rinsing off the mask, gently rub it so that the oatmeal can remove the dead skin cells. This mask is also beneficial in getting rid of sun tanned dark skin. Due to excellent skin whitening properties Papaya is used in various skin whitening products. You can prepare you own natural papaya skin whitening mask and can get the same benefits. You just need to take 1 tablespoon of raw papaya pulp and apply on your damp face. Leave for 15-20 minutes and then wash off.